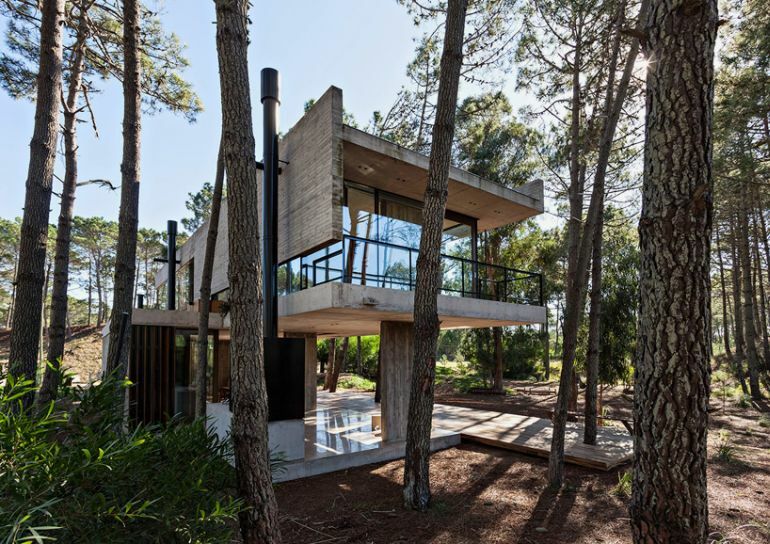 Nestled among pine trees, in the southern part of Buenos Aires, the Marino House epitomizes the charm of simple, rustic beauty. 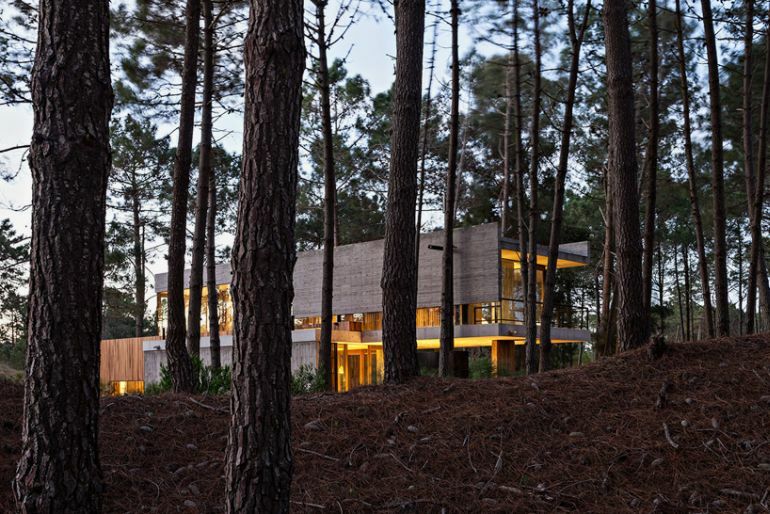 Constructed by Argentina-based firm, ATV Arquitectos, it looks more like a natural extension of the forested landscape than a cold concrete-and-steel structure. 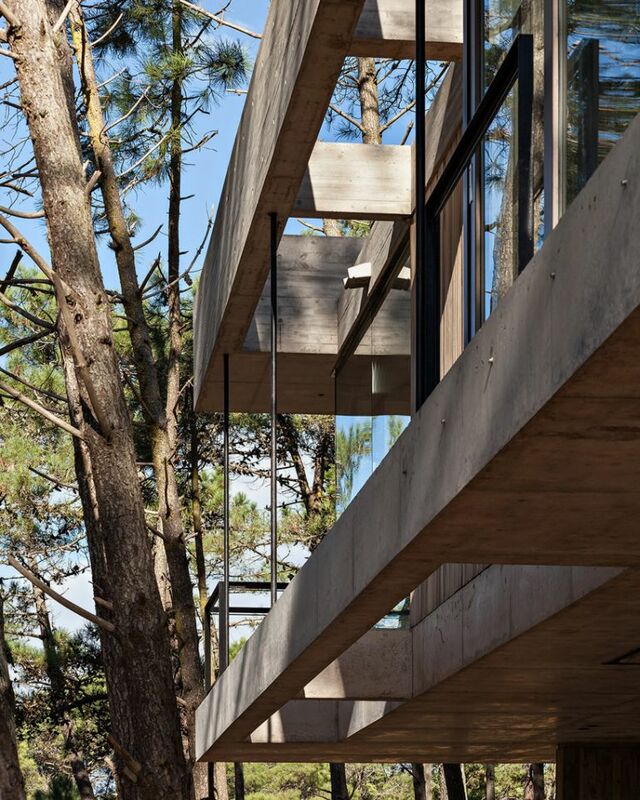 What is more, the dwelling’s unpolished finish actually accentuates its minimalist design, while also mirroring the rough terrain of the surroundings. 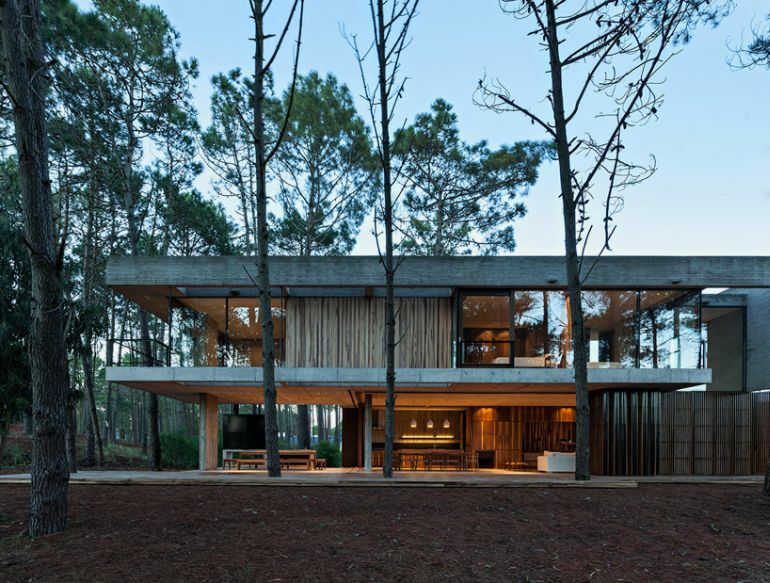 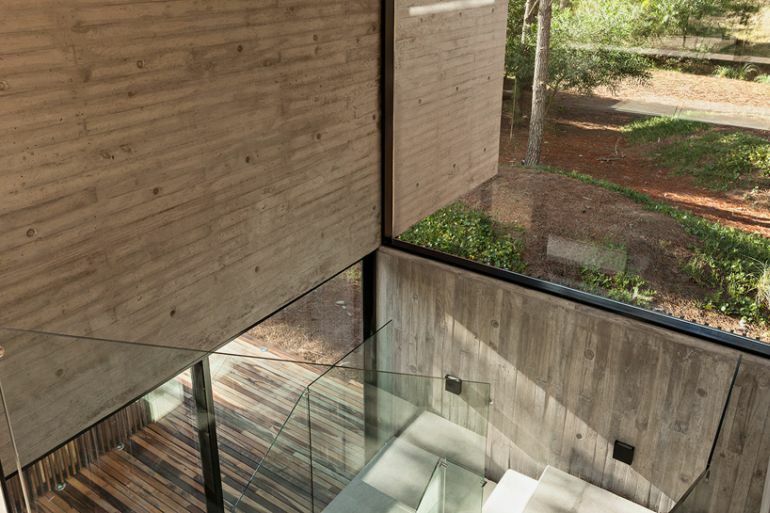 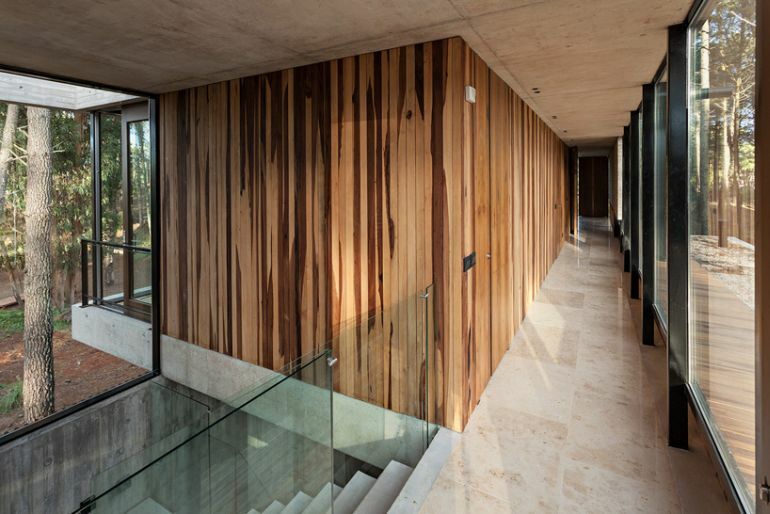 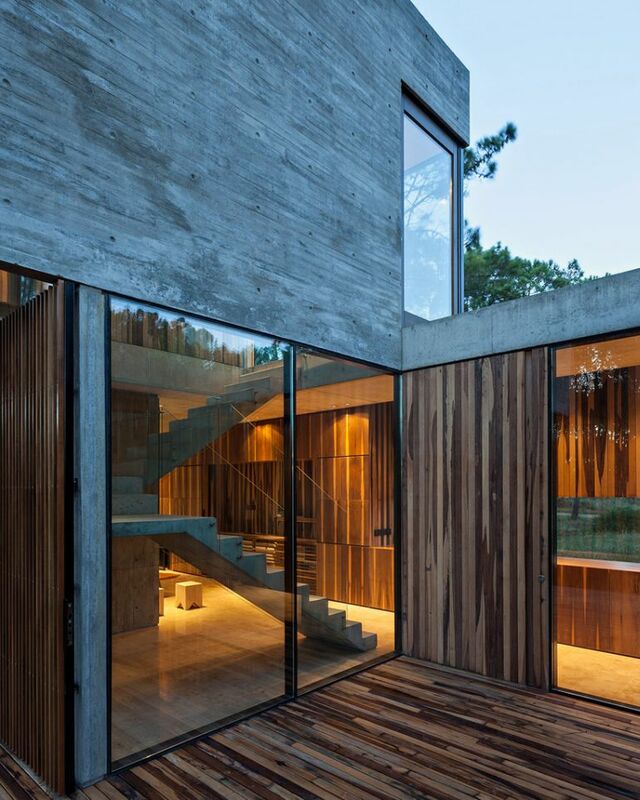 Built using striated wood sections and coarse unpolished concrete, the two-story residence features a kitchen, a dining room and a living space on the ground floor. 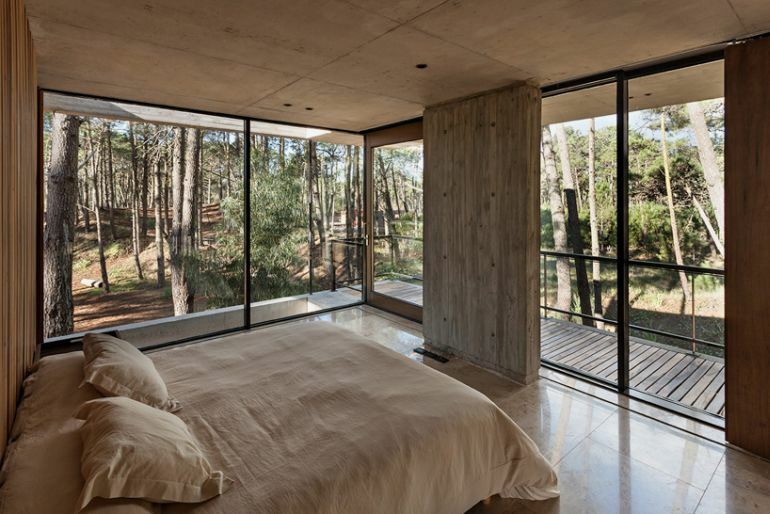 The upper floor houses two bedrooms and a capacious observation deck, offering breathtaking views of the neighboring landscape. 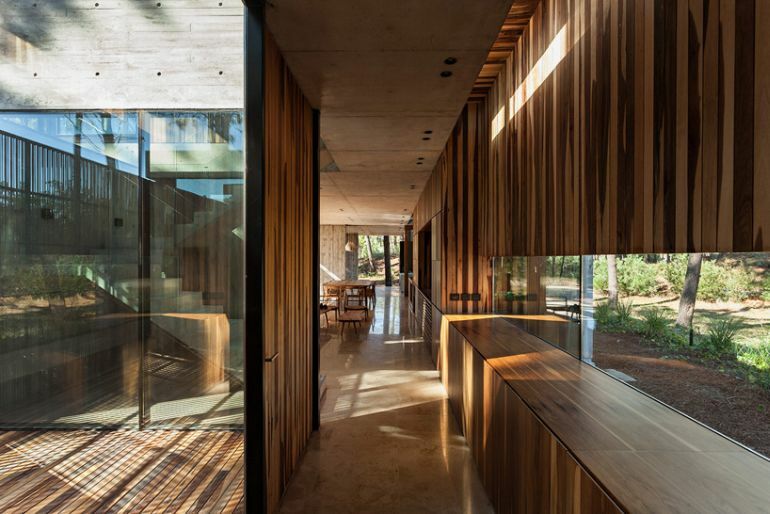 Large, transparent doors and windows allow sunlight to pass, thereby creating a sense of spaciousness on the building’s interior. 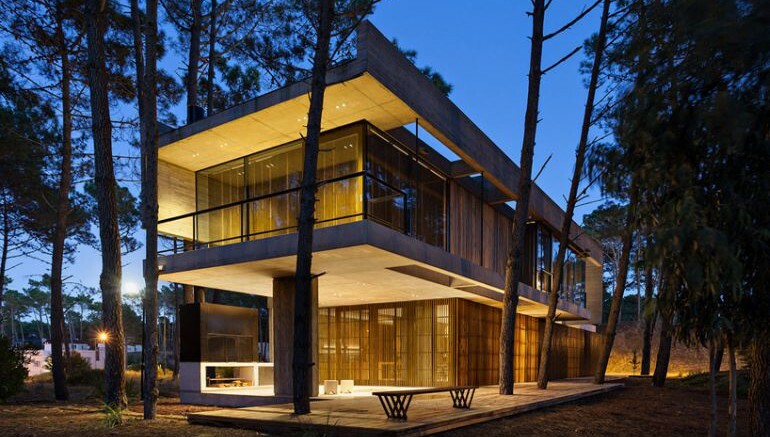 To know more about the firm and its various projects, head over to its official website.